Mashed cooked squash adds rich flavor and plenty of moisture to this spiced, delicious, easy cake. Serve this humble, homey cake plain with coffee, tea, or cold milk, or dress it up with a bit of whipped cream or ice cream. 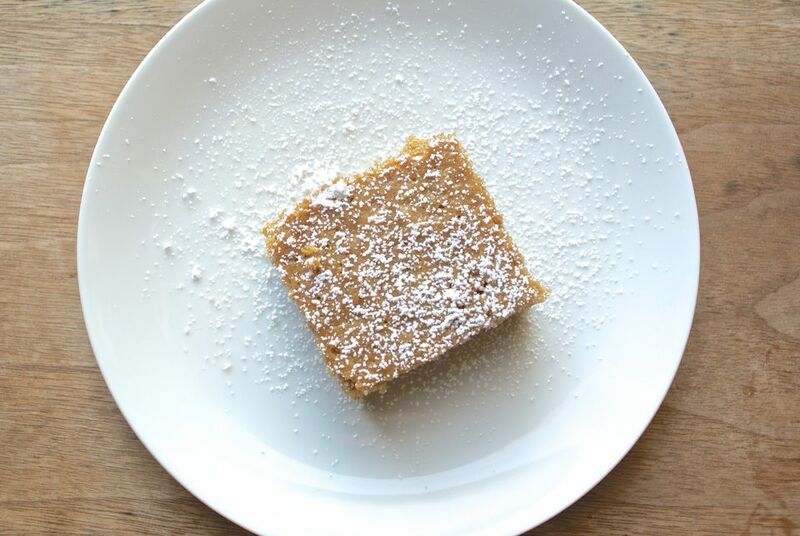 This cake is a great way to use leftover squash (if there's a bit of butter or sugar in the squash it doesn't matter much), and works nicely as dessert, a snack, or even as a coffee cake for breakfast. Note that the spice mixture is quite flexible. The cake is tasty, if fairly simple, with just cinnamon. But you can fine-tune the combination to suit your tastes and the contents of your spice shelf. Stirring in some cardamom, as noted in the recipe, is a great way to mix things up and gives this simple cake a Scandinavian vibe. While the black pepper may sound odd, it is amazing in this dessert. Some people may opt to just use 2 teaspoons of "pumpkin pie spice" in place of all the others to be done with it, and that would lead to a very tasty cake as well. Don't have any cooked squash sitting around the house? See How to Cook Squash. Preheat an oven to 325 F. Butter an 8-by-8 baking pan and set it aside. In a large bowl or the bowl of a standing mixer, cream the butter and brown sugar, scraping down the sides of the bowl as needed, until light and fluffy looking, about 2 minutes. Add the eggs, one at a time, beating for 30 seconds after each addition. This step builds the structure of the cake, so don't skip it and don't rush it. Stir in the vanilla and then the squash. In a small bowl, combine the flour, baking powder, baking soda, salt, and spices. Add to the squash mixture and stir just until completely combined. To keep the cake tender, be careful not to overmix at this point, it will develop the gluten in the flour and toughen the cake. It will be a thick batter. Pour the batter into the buttered pan. Bake until the cake is golden and a toothpick inserted in the center comes out clean, 50 to 60 minutes. Let the cake cool at least 10 minutes before cutting. Serve warm or at room temperature.